When you think PARKING, think PLATINUM. Our services include parking facility operations for both commercial and residential properties, temporary and event parking, and outsourced parking solutions. Platinum Parking Services range from management of all types of properties from multi-story garages to small surface lots, and operate parking facilities under parking management agreements and leases. Founded in 2000, we are headquartered in Downtown Dallas, Texas. In 2009, Platinum Parking acquired a valet company based in Dallas, Advantage Valet. In 2011, Platinum Parking acquired a parking company based in Houston, Merit Parking. With parking and valet operations in Dallas, Fort Worth, Austin, Houston and New Orleans, Platinum Parking has over 35,000 parking spaces under contract in a portfolio that includes Class A office buildings, mixed use projects, residential properties, stand-alone garages, surface lots and event parking. Our management team has more than 80 years of combined parking experience. In concert with our parent company, we have the first-hand “know how” that comes from managing more than 250 facilities, totaling 60,000 on and off-street spaces. Every parking facility is different and every facility requires its own, unique management plan. A consultative partner that provides ongoing input and suggestions to improve your business. Whether needing seamless transitioning to Platinum Parking that includes closing out old tenants, getting new tenants set up, issuing of new parking cards, and addressing security issues or setting up a system from bottom up, Platinum’s experience will be evident and pivotal in achieving all your goals. Platinum Parking and Advantage Valet currently utilizes a third party professional investigator to regularly “shop” each of our valet and self-parking locations. The third party secret shopper has been educated on the high customer service standards and company standard operating procedures for both valet parking and self-parking. Monthly reports provide details on customer service, employee operating procedures and general feedback on the operations. As a client of Platinum Parking, all facilities are included on the Secret Shopper location list. Platinum Parking currently utilizes customer comment cards to obtain feedback about the parking facilities we manage. This includes feedback on such things as cleanliness, services provided, signage, and the appearance and helpfulness of the attendant/cashier. All customer comment cards are postage paid and directed to the President or Vice-President of the company for review. Platinum Parking and Robbins Parking have provided consulting and parking management for several public transit agencies in the United States and Canada. Implementing a paid parking program does not just generate additional revenue for transit agencies, but to, more importantly, provide a higher level of service for the ridership. A parking management program provides transit agencies with the opportunity to improve the perception of safety, increase onsite staff, provide funds for capital improvements at the facilities, improve the traffic and congestion in the parking areas and manage the parking operations more efficiently and effectively. Consistent, constant and accurate communication is a key element during the planning, implementation, transition and ongoing operations of managing transit parking facilities. Platinum Parking works closely, with the transit agency staff, local municipalities, area businesses and community organizations to ensure that the public and especially the ridership have the correct and most up to date information. Our goal is to ensure a smooth transition while eliminating any negative impact on the transit agency and local municipalities. With our first-hand experience with small and large facilities, we understand the special challenges facing parking operations and management in urban and suburban areas. This understanding, combined with our ability to implement the required systems and technology, ensures that Platinum Parking meets and exceeds customer service expectations for parking management while providing the maximum financial return to transit agency. Platinum Parking has extensive experience with designing, installation, maintaining and operating electronic parking revenue collection systems and parking enforcement equipment. We currently operate over fifty Digital Payment Technologies paystations on a daily basis for properties in Dallas, Fort Worth, Houston, Austin, Florida and New Orleans. We have worked with virtually every equipment manufacturer in the industry to meet the specific needs of our clients at each of the facilities that we manage. Platinum Parking has been a leader in the local parking management industry by installing more electronic paystations than our competitors to collect revenue and by enforcing parking regulations with electronic handheld devices. 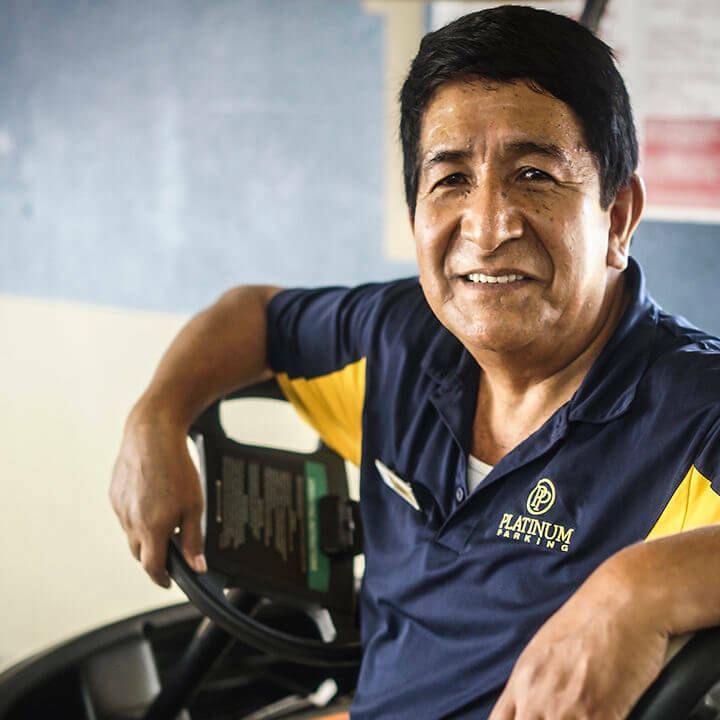 Our operations staff has the knowledge to provide ongoing training, preventative maintenance and general service for nearly every type and brand of parking equipment currently in use. 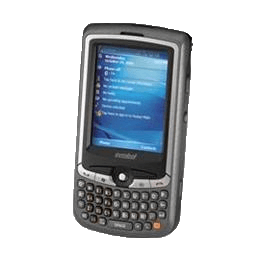 Enforcement Officers use Motorola MC35 Handheld Mobile Computers to manage the TicketManager system. Keep your on-the-move workers connected, responsive and productive with the little device that offers big business functionality. This pocketable device puts the combined power of a mobile phone, notebook, camera and bar code scanner at the fingertips of your employees, in a durable device whose product life well exceeds that of the traditional consumer Smartphone or PDA. 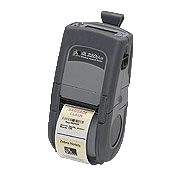 For printing violations, enforcement officers use the Zebra QL 220 Mobile Thermal Printers. In addition to offering the rugged construction, user-friendly options, and flexible QuickLink connectivity, the enhanced QL 220 Plus printer is specially designed for complex mobile printing applications. It’s built to handle increased levels of wireless security and to process complex printing up to four times faster, making it ideal for the secure transfer of sensitive data such as price lists, customer information, and medical records. The total price for purchase of each complete violation equipment package which includes both the handheld mobile computer and mobile thermal printer is approximately $1,800. Depending on the number of equipment packages purchased, the price can vary. Since the software is currently used by Platinum Parking for enforcement on all of its current properties, additional fees are not passed through to our clients for any annual cost related software licensing and maintenance. Upgrading the system to recognize toll tags on the entrance and exit provides added convenience for monthly parking customers, employees, members and donors. An AVI system also improves the efficiency of the parking system and significantly decrease the time needed to enter and exit the parking facilities. This efficiency can have a significant impact on the environment by reducing vehicle idling and emissions. Authorized parking customers would be able to use their existing toll tag for access to the parking facilities. For authorized parking customers that do not have a toll tag, a tag would be issued by the parking management company for placement in the vehicle. Many garages in major cities currently have a toll tag access component within their parking management system and almost every new parking management system being installed utilizes toll tag technology. Platinum Parking believes that this equipment upgrade is beneficial to the property owner, the parking operator and, most importantly, the customers that utilize the parking facility. Platinum Parking has worked with several companies that are using new technology with LED and fluorescent lamps. Most energy efficient lighting upgrades have paid for themselves in less than three (3) years. Local utility companies typically provide rebates and grants for lighting retrofits, reducing the time for return on investment. People don’t get very excited about parking because its one of those things that they simply expect to always be available. Parking only becomes a topic of conversation when its a problem to find. Platinum Parking is a leader in our industry because we understand that our guests appreciate us most when we are mostly invisible. Like a door greeter or a valet service, parking attendants often have the first and last opportunity to make an impression on the guests parking in the lots they manage. This can either be a moment for your facility to put its proverbial ‘best foot forward’ or it can turn the perception of your guest negative just before they enter or worse, just as they are departing. The premium parking services offered by Platinum Parking take into account the experience of your guests and serves to represent your organization in the manner you would expect from your own employees. We keep our surface parking facilities looking clean, safe and welcoming; with easy to understand signage and friendly staff. In our public parking lots we enforce parking fees with a staff of courteous parking attendants. if necessary, Platinum Parking can monitor and provide attendants for your commercial or corporate parking lots. Each of our clients has different needs from monitoring, maintenance or enforcement to supplying equipment and parking passes. Platinum Parking is here to help you on your terms. Work with us to develop good management practices for your parking lots or partner with us to provide your organization with all of our premium parking services. Platinum Parking manages dozens of parking garages across the five major cities we operate within, both public and corporate garages alike. Our parking lots and garages are well maintained and feel safe and welcoming to our guests. Clients appreciate working with us because of our commitment to quality and our experience in the industry. Many locations can’t provide traditional parking and rely on valet service as the only means to provide convenient parking for guests. The most lucrative locations to operate a business are often the most inconvenient for customers to navigate. Save them the trouble and enhance your business traffic by partnering with Advantage Valet and Platinum Parking at your location! Perhaps more significant than any other part of the parking operation, the parking staff forms the first and last impression of a customer’s experience at any special event. Of course the condition of the parking facilities, traffic congestion, signage and convenient amenities are large factors as well, but none have the effect of a well-trained, knowledgeable, courteous and energetic parking attendant or cashier. Platinum Parking is well prepared for the ever-changing attendance at any special event. Variable staffing schedule will be created to maximize the economic value to the client while ensuring exceptional customer service levels will be reached during all events. Staffing maps detailing adjustable staffing levels for all crowd sizes; from sell out to inclement weather event days. The maps are presented as a colorful display of each type of employee and their deployed location. The appearance of any staff member is the first segment of any visitor interaction. We utilize a uniform and nametag system that brightly identifies parking staff to ensure effective traffic direction during day and night, protect our employee’s safety and promote the fun atmosphere inside an event. Samples of signs, passes, flyers, etc. Media, neighborhood, local law enforcement issues, etc.